Photo: "At the Halenku" brewery and distillery sign above the archway. Photograph as originally submitted to this page in the Historical Marker Database www.HMdb.org. Click on photo to resize in browser. Scroll down to see metadata. 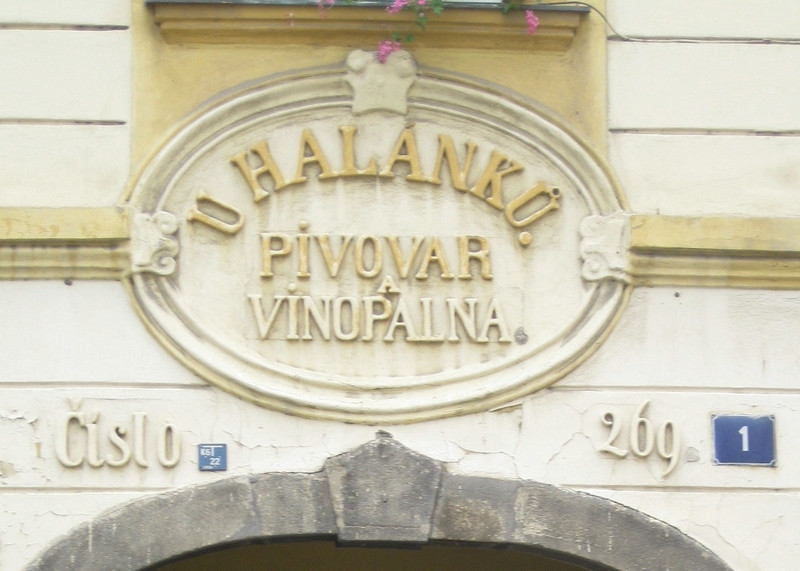 Caption: "At the Halenku" brewery and distillery sign above the archway. Additional Description: Náprstek's father was the proprietor of a brewery and distillery, as indicated by the sign above archway of his home. Submitted: October 7, 2009, by Andrew Ruppenstein of Sacramento, California. To see the metadata that may be embedded in this photo, sign in and then return to this page. Copyright © 2005–2019, Some rights reserved.